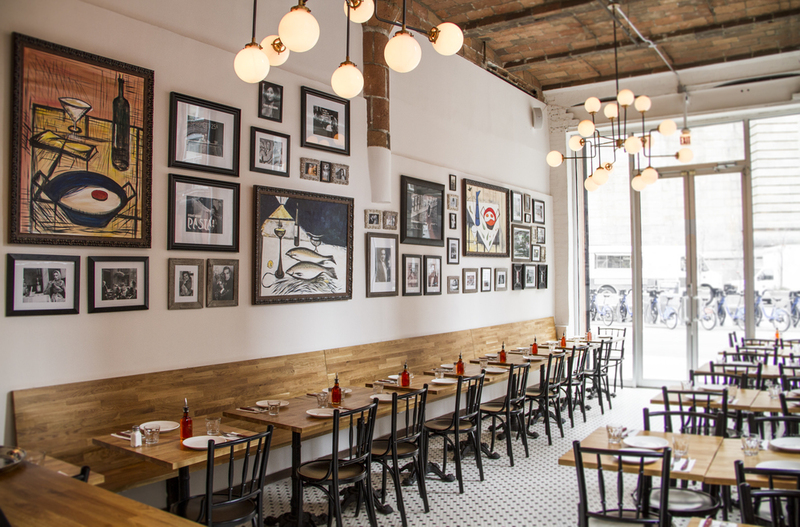 Almost adjacent to the Manhattan Bridge in Brooklyn, Love & Dough is a charming spot to experience specialties from one of Italy's greatest cooking regions- Campania. As the dough is made daily with imported Caputo flower from Napoli, one can easily fall in love with the thin-crust neapolitan pizzas made in the brick oven, along with homemade pastas and mediterranean salads, all crafted with the freshest ingredients. Love & Dough could be defined as homage to the best of Italy and all they brought forth to the world; the pace of life, the charm, charisma and style, and the food of course. The restaurant opened its doors on December 14, 2015. A perfect time as the cold weather settles in to enjoy the specialty pizzas, fresh pastas & other old world delights. All dishes are orchestrated under award winning celebrity pizzaiolo Giuseppe Manco (originally from Napoli); who took home the first prize as best Italian style pizza maker in the 2014 Pizza Expo in Las Vegas, beating out another 60 chefs . This is now the second restaurant by owner Arthur Hasani, who fell in love with Italy while studying abroad a decade ago. (Archway Cafe right next door was his first). Love & Dough's interior, designed and built by neighborhood furniture designer & brand developer Richard Velloso (known more for his two companies which are named after his dog - Olga Guanabara & Olga Thinks), reflects the sensibilities of Brooklyn's industrial storied past, while also paying tribute to the richness of the Italian culture & elegance. The restaurant is adorned with black & white photos of the Italian way of life, and with high-ceilings, large glass window panels it offers the choice to observe passers-by, or watch the art of pizza making as it occurs in the open-kitchen. Call 347 987 3404 from 11:30am – 10:30pm daily.